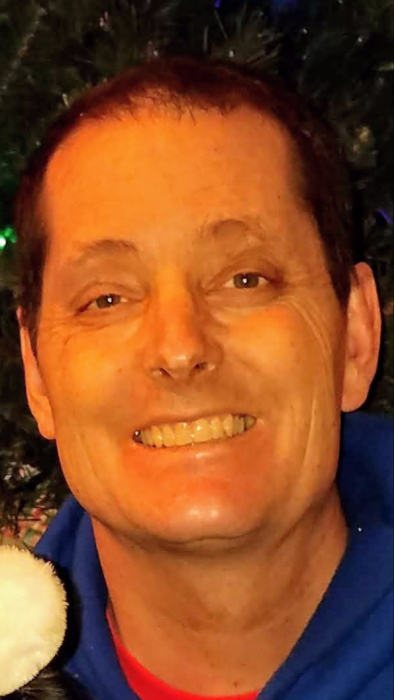 On February 6th, 2019, Alan Michael Vogel 55 of Viola, Idaho passed away after a courageous battle with colon cancer. Alan was born May 15th, 1963 to Fred and Marjorie Vogel in Cottonwood, Idaho. He was raised in Nezperce, Idaho along with his 5 siblings. He always spoke fondly of this tightknit community and how much he cherished growing up there. After graduating from Nezperce High School in 1982, Alan attended LCSC and received an Associates degree in bookkeeping. He lived with brother Don and Vicki from 1985 through the summer of 1992 while working in the Lewiston area. Alan was a great help building the house that Don and Vicki still live in today. In the fall of 1992, Alan moved to Viola to live with his sister Pamela. Later that year he became employed by Walmart in Moscow and then transferred to the Pullman branch. This past year, Alan celebrated his 26th year with Walmart and was employed there at the time of his death. He loved his job and coworkers and never had a cross word or bad thing to say about anything or anyone. When asked about retirement, he said he would continue working until he turned 80. During Alan’s 26 years in Viola, Pamela and Lewis had 3 boys. Jesse, Jarod, and Justin. Alan’s life would change forever. His new duty as a fulltime uncle came with the responsibilities of part time babysitter, shuttle driver, and sometimes banker. For 20+ years, Alan would never miss an event or game the Paul boys were involved in. He loved it and they (the boys and their friends) loved him. Along the way the boys got to calling him “Aldawg” and the nickname stuck. He was the best uncle anyone could have. In the fall of 2016 Alan was diagnosed with colon cancer. He met this new challenge head on. During these last 3 years Alan battled his cancer with the heart of Superman. He did all that was asked of him and then some. Even though he was sick, he said it came with the advantage of seeing his brothers and sisters on a regular basis. Alan treasured them, and every minute spent with them. Alan always looked forward to family gatherings. He was especially fond of the Vogel family reunions at O’Hara Campground on the Selway River. Alan was preceded in death by his mother Marjorie and nephew David. Alan is survived by his father Fred Vogel of Nezperce, brother Steve (Barbara) Vogel of Denver, Colorado, brother Don (Vicki) Vogel of Lewiston, sister Joan (Mike) Ozmun of Idaho Falls, sister Peggy (Jim) Renslo of Marysville, Washington, sister Pamela (Lewis) Paul of Viola, 14 nephews and nieces, and numerous cousins and aunts and uncles. He held a special spot in his heart for his Cousin Kim who was his biggest and best advocate his entire life, and especially through these past few years. A celebration of life will be held at the Viola Community Center Friday, February 8th from 5-7 p.m. A funeral service will take place at 11:00 a.m. Feb. 16th at Holy Trinity Catholic Church in Nezperce, Idaho at 506 Willow St.. A rosary will be recited prior to the service at 10:30 a.m. Immediately following the funeral service, there will be a dinner at the Parish Hall. In lieu of flowers, we ask that any donations be sent to St. Mary’s Catholic Church, 618 E 1st St., Moscow, Idaho 83843 or Monastery of St. Gertrude, 465 Keuterville Road, Cottonwood, Idaho 83522.